Open to 1st July 2019. ‘Water Research’ journal special issue “Resource recovery from water: from concept to practice”. In coordination with abstracts for the IWA Resource Recovery Conference, Venice, 8-12 September, IWARR2019 Topics targeted are: pilot scale demonstration of resource recovery technologies, synthesis of value-added products, linking value chains, perspectives on resource recovery in next-generation waste water infrastructure, financing and policy, societal opportunities and barriers. “Putting phosphorus first? How to address current and future challenges”. ETH, Zurich, Switzerland, 8-12 July 2019. 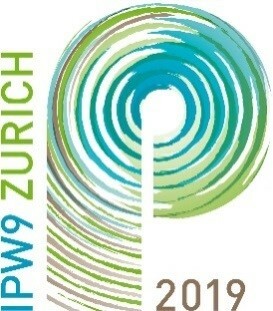 The 9th International Phosphorus Workshop (IPW9) will address five research themes: (1) phosphorus scarcity; (2) optimizing regional and national phosphorus cycles; (3) sourcing phosphorus fertilizers; (4) efficient phosphorus use in agroecosystems; and (5) environmental phosphorus problems. The 4th European Sustainable Phosphorus Conference is fixed for Vienna, 15-17 June 2020. 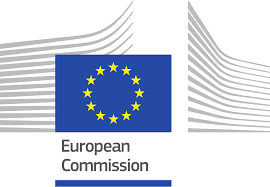 The European Commission has circulated a call for input (from members of the EU Fertilisers Working Group) on “criteria on agronomic efficiency and safety for by-products”, that is “for the use of by-products as fertilising products” under the new EU Fertilisers Regulation. The new Regulation specifies that the Commission must adopt a ‘delegated act’ fixing these criteria within three years. This call for comments is the first stage of input to this process. A two and a half page document by the European Commission, open to comment until 19th April 2019, recalls the definition of by-products in the Waste Framework Directive and reminds that under the new Fertilisers Regulation by-products can (under certain conditions) be used directly in fertilisers (the by-product is itself a ‘CMC’) or be reacted with other materials before use (the product resulting from the reaction is the ‘CMC’). The document poses the following questions: safety or agronomic criteria or specific restrictions for by-products used in fertilising products in national regulations, list of authorised by-products for use in fertilising products (including origin industries), which by-products are currently used (and market size, nutrient content or other function …), application of the Waste Framework Directive. The European Parliament has concluded the legislative adoption of the new EU Fertilising Products Regulation, by validating the “trilogue” compromise text in a plenary vote on 27th March. This new Regulation will open the European market for recycled nutrient products, and also for nutrient recycling technologies. It covers organic, organo-mineral and mineral fertilisers, composts, digestates, food industry by-products, as well as other products such as liming materials and fertiliser polymers. Because this is a ‘Regulation’, it will be applicable across Europe without requiring Member State transposition. However, it will only be fully applicable three years after publication, to allow time for implementation. After that date, any EU Fertilising Product can be sold in any EU country. Member States will also have the continuing possibility to authorise other products in their country as ‘national’ fertilisers. A ‘clean’ version of the final EU Fertilisers Regulation text is not yet available, but the adopted version can be consulted here. The adopted text does not cover struvite and recovered phosphate salts, ashes and ash-derived products, nor biochars / pyrolysis materials. These should be added to the Regulation after adoption by the European Commission, logically as proposed in the JRC STRUBIAS (final report not yet published). Wim Debeuckelaere, European Commission (EC) DG Environment, has provided an update of the EC Joint Research Centre (JRC) “SafeManure” study, which aims to define criteria for allowing certain nitrogen fertilisers derived (wholly or partly) from manure to be not treated as ‘processed manure” under the Nitrates Directive (see ESPP eNews n°23). The study will include analysis and comparative testing of different fertilisers recovered from nutrients (identified to date: 86 materials from 7 sites in Italy, 11 in the Netherlands and 1 in Denmark, covering raw manure, solid/liquid fractions, digestate, reverse osmosis/mineral concentrates and nitrogen salts recovered from stripping). A review of existing literature has identified (to date) less than 20 relevant studies or reports, noting in particular a lack of data concerning the composition of processed manure products, nitrogen release kinetics, environmental and health issues and a lack of experimental evidence comparing nitrogen leaching or plant fertiliser effectiveness of recycled nutrient products to mineral fertilisers. In particular, comparative trials are lacking for recovered nitrogen salts and struvite. ESPP suggests that this is unsurprising: there is no reason to compare e.g. recovered ammonium sulphate with synthetic ammonium sulphate because it is the same chemical, and the many published tests on struvite do not look at the nitrogen release because struvite is a phosphate fertiliser. The project planning anticipates biogeochemical modelling and pot trials in Spring 2019, field tests in Spring and Autumn 2019 and a draft report and stakeholder workshop and 2019/early 2020. 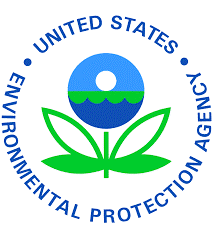 An audit by the US EPA (Environmental Protection Agency) Office of Inspector General has concluded that the EPA is not assessing the possible impact of hundreds of pollutants present in biosolids (processed sewage sludge) used as fertiliser / soil improver in agriculture. The audit is based on existing reports and contacts both with EPA staff and with other US agencies, stakeholders and experts. The 60+ page report concludes that the EPA monitored only nine pollutants in biosolids (all heavy metals) whereas 352 other pollutants and contaminants can be present according to literature, of which 61 are designated as hazardous or as priority pollutants in other regulatory programmes. The audit notes that the EPA’s legally required biennial reviews of biosolids regulations (2013, 2015) had not been completed. Indeed, the EPA has today only two members of staff in its biosolids centre, covering some 2 700 major biosolids production facilities, despite nearly 50% of US sewage sludge production going to agricultural land. The report notes that treated sewage sludge is a nutrient-rich material, valuable as an agricultural fertiliser, providing nitrogen, phosphorus and micronutrients (e.g. nickel, copper). Biosolids are indicated as improving soil properties, such as texture and water-holding capacity, because of their organic content, so favoring root growth and drought resistance. The report however notes that biosolids also contain a wide range of pollutants, including pharmaceuticals, steroids and hormones, flame retardants, perfluoroalkyl substances (PFAs) and perfluorooctanoate (PFOA), but without concluding that these substances pose a risk to health or the environment. Indeed, the report’s message is that the risk assessment of these substances is lacking and that additional research is needed to better understand their impacts. > 12-13. Organise trainings for biosolids managers and State administrations and (*) maintain a website knowledge base for these users. Analysis of soils from the CRUCIAL long-term field trials, Taastrup, Denmark, show that long-term sewage sludge application results in highly plant available phosphorus (P) in the soil. The CRUCIAL trials started in 2003, with soil samples for this study taken in 2014. Application rates were artificially high, resulting in total application equivalent to over 200 years at Danish regulatory maximum phosphorus input rates. Five soil treatments were compared: sewage sludge - see below (1), untreated cattle manure, composted source-separated household organic waste (2), mineral NPK fertiliser and unfertilised. Phosphorus in the sludge-fertilised soil was principally associated to iron, apparently independently from the iron content of the sludge, whereas the phosphorus in the NPK and manure fertilised soils was principally associated to organics, and to calcium in the compost-fertilised soils. Phosphorus in the sludge-fertilised soil showed the best plant availability (using DGT – Diffusive Gradients in Thin Films). This was confirmed by high grain yields and the highest P concentration in grains, and highest yield and P concentration in pea shoots, in the sludge-fertilised soils. (1) Sewage sludge, after dewatering, from Avedøre municipal sewage works, Copenhagen, flocculated with Fe(III) salts. (2) Compost produced by BioVækst, Solum (using AIKAN technology). Maltas et al. (2018) summarise results of 37 years long-term field trials at Agroscope, Changins, Switzerland (calcaric cambisol, altitude 440m) 1976-2013. Treatments were mineral fertilisation with optimal nitrogen (N) and without N and five organic amendments also receiving optimal N as mineral fertiliser (same dose for all treatments, that is additional to N in the organic amendment): green manure, cereal straw, fresh cattle manure at two dose levels and cattle slurry. All treatments received optimal N and K as mineral fertiliser. The mineral N fertiliser alone (without organics) increased soil organic carbon (+16% in top 20 cm of soil after 36 years), soil microbial activity and microporosity, but reduced soil pH, magnesium and macroporosity. All the organic amendment treatments with mineral N also showed increases of organic carbon, all marginally higher than for mineral N only. Only the high dose of fresh manure resulted in significantly higher organic carbon (+56% compared to zero-N control). The carbon retention coefficient (% of organic carbon supplied in amendment which is retained as increased soil organic carbon SOC) varied from 1.6% (green manure) to 13.6% (high fresh manure dose). Manure treatments showed higher grain yields than with mineral fertiliser alone, whereas the low-nutrient amendments (green manure, straw) showed lower yields, probably because the organic content immobilizes soil nutrients. The authors conclude that low nutrient organic amendments are effective in preventing soil degradation, but require higher mineral fertiliser inputs to maintain crop yield. NIBIO (Norway Institute of Bioeconomy Research) has published a concise (26 page) review of how manure treatment technologies impact phosphorus fertiliaation, based on 45 scientific publications and reports. The summary covers solid-liquid separation (sedimentation, centrifuge, filtration with or without pressure, use of flocculants, electrocoagulation), growing micro-algae, anaerobic digestion, acidification, incineration ash, biochars, recovered phosphate salts. Literature data are provided on water content and phosphorus content on materials from these different processes, and results are presented from around a dozen different studies testing the plant availability and phosphorus (P) fertiliser effectiveness of different processed manure products. The report concludes that mechanical solid-liquid separation (including using flocculants) does not appear to modify the plant availability of P in manure, but that the solid fraction tends to have lower availability because the more available P is in the liquid phase. Composting appears to reduce P availability, whereas studies on anaerobic digestate are insufficient. Thermal treatment tends to reduce phosphorus availability: lower in ash than in biochars. Acidification increases the fraction of dissolved phosphorus in manure, and may negatively impact solid-liquid separation processes. Overall, the report concludes that a range of technologies exist which can facilitate manure resource recycling without negatively impacting phosphorus plant availability. “Manure-based recycling fertilisers. 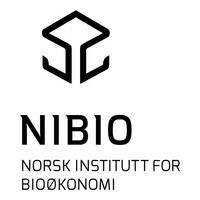 A literature review of treatment technologies and their effect on phosphorus fertilisation effects”; NIBIO (Norwegian Institute of Bioeconomy Research), E. Brod, NIBIO report vol. 4, n°91, 26/6/2018, ISBN 978-82-17-02141-4 https://brage.bibsys.no/xmlui/handle/11250/2503440 delivered as part of the project “Nutrients in a Circular Bioeconomy: Barriers and Opportunities for Mineral Phosphorus Independence in Norway (Mind-P)” (D. Müller, NTNU). A concise article from KTH Sweden summarises innovative technologies now being implemented in Sweden to achieve demanding treatment requirements for sewage works for the protection of the Baltic Sea. The HELCOM Baltic Sea Action Plan (2009, modified 2013) requires phosphorus (P) removal from all sewage works > 2 000 p.e. to 0.1 or 0.2 mgP/l. Large sewage works in Sweden already have limits of 0.3 mgP/l, and the authors consider that 0.2 mgP/l can be achieved by chemical P-removal combined with tertiary filtration (to remove small particles of phosphorus generated by the chemical precipitation). The Baltic Action Plan also requires 70 or 80% nitrogen (N) removal and 6 mgN/l discharge. Several sewage works in Sweden are already operating Anammox processes on sludge dewatering liquor, so reducing mainstream nitrogen load by 15-20%. These Anammox installations are based on biofilm, Kaldnes carriers and granulated sludge (DEMON). Pilot studies of mainstream Anammox are underway at two sites. Membrane aerated biofilm reactor (MABR) is another solution for nitrogen removal: tested at the pilot scale, 94% ammonia removal and 40-60% total nitrogen removal were achieved. A number of technologies are offered for removal of pharmaceuticals from the water discharge stream from sewage works, and a combination of ozone treatment and granular activated carbon (GAC) looks most promising. The authors underline that implementation of these technologies in sewage works requires large investments. Leibniz Science Campus Phosphorus Research, Rostock, Germany, is opening 14 doctoral studentships, co-tutored by the Leibniz Institute and the University of Rostock. Themes covered include phosphorus recycling in livestock production, phosphorus efficiency in fertilisers and in livestock, phosphorus governance, phosphorus chemistry and organocatalysts, phosphorus metabolism. A presentation by Pavel Misiga, European Commission (Research and Innovation) in Brussels , 22 January, summarised upcoming EU funding possibilities for nutrient-related R&D and the status of preparation of the next EU R&D funding programme, Horizon Europe, which will follow after Horizon 2020. 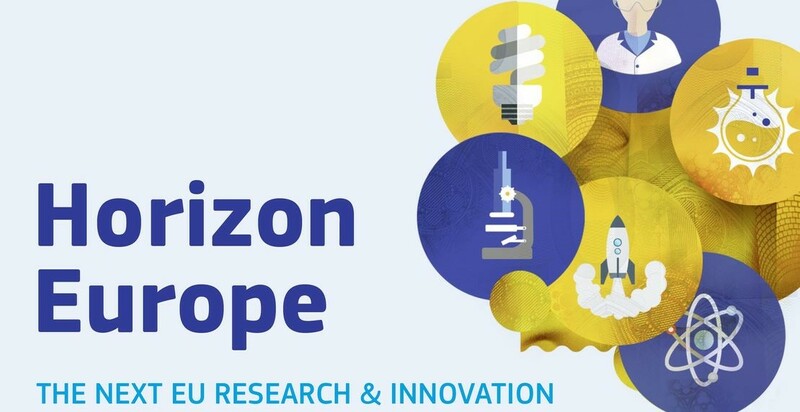 Calls under Horizon 2020 closed in January and February 2019 will complement projects on nutrients already underway and include “Bio-based fertilisers from animal manures”, “Organic fertilisers from biogas digestate” as well as calls on integrated water management in agriculture, bio-based business models for rural communities and a water smart economy. Two further relevant calls are expected in 2020 under Horizon 2020: bio-based fertilisers from agri-food, aquaculture and forestry by-products and bio-based fertilisers from waste water and from sewage sludge. Additionally, a 100 M€ “Circular Economy Thematic Investment Platform” is expected to be launched in 2020. The future Horizon Europe programme is currently under discussion in Parliament and Council. The Commission’s proposal suggests five thematic clusters, including (as currently discussed) “Bioeconomy, food, natural resources and environment”, which is expected to specifically include: agriculture, food systems, bio-based innovation/bioeconomy and circularity. Additionally, five “Missions” are proposed, with current Council proposals including “Soil health for sustainable food” (under discussion). The outline for Horizon Europe and strategic planning should be completed in 2019, and Horizon Europe launched in 2021. The European Commission is currently considering to propose to work towards a “Nutrients R&I Roadmap” to develop cooperation across different DG’s, input to Horizon Europe and propose policy recommendations for the next Commission. The European Commission has engaged legal proceedings with the European Court of Justice against Cyprus, Italy and Slovenia for failure to adequately treat municipal sewage (EU Waste Water Treatment Directive 1991/271/EEC). These proceedings concern failure to adequately collect and treat municipal wastewater for 31 agglomerations in Cyprus and 16 in Italy of population equivalent > 2 000 p.e., and 11 agglomerations > 10 000 p.e. in Slovenia. Greece is referred back to the European Court for ongoing failure to implement the EU Nitrates Directive (1991/676/EEC), following a first condemnation by the Court in April 2015 (C-149/14), for failure to establish Nitrate Action Programmes in twelve Nitrate Vulnerable Zones (NVZs) – with requested financial penalties of 1.3 million € plus 24 000 € per additional day of non-compliance). Italy has also been referred to the European Court for failure to protect citizens against air pollution in ten agglomerations (total of over 7 million people) with failure to respect limit values for NO2 fixed by the EU air quality directive (2008/50/EC). This follows actions already underway (May 2018) against France, Germany and the UK concerning air NO2 levels and also against Italy (May 2018) concerning airborne particles. The European Commission has published its fifth Implementation Report on the Water Framework Directive 2000/60/EC (including River Basin Management Plans and the Floods Directive 2007/60/EC and Floods Risk Management Plans). The Commission (COM) concludes that “full compliance with the WFD’s objectives by 2027 … seems at this stage very challenging”. This might be considered to be a significant understatement: as only 40% of Europe’s surface waters (75% of groundwaters) are today in “good” quality status (see also ESPP eNews n°31) and COM notes that over the last five years “only a limited number of water bodies have improved in status” despite “substantial efforts” made to implement the Water Framework Directive. The report notes that Ireland and Greece failed to deliver their RBMPs (river basin management plans) for 2015-2021 so are not assessed. It concludes that around half of Europe’s water bodies are concerned by exemptions (from quality status obligations) proposed by Member States. COM underlines that the justifications for these exemptions need to better ensure that objectives of other water bodies are not compromised, and that minimum requirements fixed by other EU environmental legislation are respected. Environmental association EEB underlined that Member States should focus on improving water quality, not on justifying exemptions. The COM report notes that agriculture is “amongst the most significant pressures”, both for over-abstraction of water and diffuse pollution, and that in half the cases there is no assessment as to whether the measures taken to address this will be sufficient to achieve quality status objectives. Another area where significant gaps are identified is that of water pricing and cost recovery (e.g. Austria, Belgium. Spain, Finland, Italy). Impacts of climate change will be substantial, and require better consideration in some Member States. Agricultural / nutrient pollution is specifically cited as requiring action in Bulgaria, Czech Republic, Germany (esp. nitrates), Denmark, France, Croatia (sewage treatment), Italy (sewage treatment), Luxembourg (agriculture), The Netherlands (agriculture) and Romania (sewage treatment). The US EPA has stated that nutrient emissions is a “key water priority”. With this objective, EPA has announced (6 Feb. 2019) a new water quality trading policy, with emphasis on reducing nutrient emissions, and has signed an agreement with the Water Research Foundation (WRF) to develop manure nutrient recycling technologies. The water quality trading policy incites implementation of market-based instruments at the catchment scale, including water quality credits and offsets, and indicates funding possibilities for non-point land use practices. This is part of a joint action between the US EPA (Environmental Protection Agency) and USDA (Department of Agriculture) to promote collaborative actions to address excess nutrients (4 Dec. 2018) in particular by “taking steps to decrease sedimentation and nutrient runoff from agricultural lands”. The Memorandum of Understanding (MoU) signed with WRF (1 Feb. 2019) aims to develop cost-effective technologies for nutrient recycling from manures by disseminating information, enabling dialogue and facilitating on-farm testing and evaluation of technologies. The MoU brings no new funding, and will coordinate existing mechanisms, such as WRF’s “LIFT” programme to identify, assess and disseminate promising emerging technologies. The EPA has also launched a study of nutrient removal in municipal sewage works (POTWs = publicly owned treatment works). A questionnaire has been sent to operators to improve US national data on nutrient removal and nutrient discharges from POTWs, case studies will be selected with the aim of identifying low-cost and effective solutions for reducing nutrient discharges and a stakeholder forum will be established to exchange information. . The United Nations Environment ‘Frontiers’ report (March 2019) identifies five major emerging environmental challenges: synthetic biology / biotechnology, ecological connectivity, melting permafrosts (CO2 losses), maladaption to climate change and disturbance of the global nitrogen cycle. The UN underlines that growing in livestock production and agriculture, but also in transport, industry and energy, result in emissions of nitrate to water and ammonia and nitrogen oxides (NOx) to air, with impacts on climate change, air quality and on the ozone layer. The UN cites the European Nitrogen Assessment conclusion that 80% of nitrogen used in food production is wasted, leading to pollution and wasted resources. Global costs of nitrogen losses (pollution and health impacts, economic losses) are estimated at 300 – 3 400 billion US$/year (‘Our Nutrient World’ see SCOPE Newsletter n°96). The UN calls for more joined-up policies on nitrogen (addressing agriculture, water, air, climate) and for a move towards the circular economy for nitrogen and nutrients. The new EU Fertilisers Regulation is cited as an exemplary initiative towards facilitating recycling of organic materials, with significant related job creation potential (120 000 jobs indicated). The report also cites the development by INMS (International Nitrogen Management System initiative, supported by UN Global Environment Facility GEF) to develop guidance on integration of nitrogen flows, cost-benefit valuation and nitrogen scenarios. It is discussed to develop a UN inter-convention Nitrogen Coordination Mechanism, to ensure coherent implementation between MEAs (Multilateral Environmental Agreements) concerning nitrogen. GWRC (the Global Water Research Coalition) has presented a 70 page ‘Compendium’ on phosphorus (P) recovery from sewage / sludge / ash at a webcast, available here. The webcast includes participants from the US EPA, the American Sustainable Phosphorus Alliance (SPA), P-REX Environment and the Water Research Federation. The ‘Compendium’ identifies over 110 phosphorus recovery installations operating today worldwide, of which most are struvite (or other phosphate salt) precipitation (over 20 technology suppliers cited). Other technologies indicated include EasyMining Ash2Phos and CleanMap, Remondis Tetraphos, Phos4Life, P.KON, Nippon PA, Glatt Sera and EcoPhos, all producing phosphoric acid or phosphate salts from sewage sludge incineration ash. As well as use of ash in phosphate fertiliser industry plants, and other technologies such as EuPhoRe, Budenheim Extraphos (carbon dioxide leaching), Metawater (alkaline ash leaching) which is operating in Gifu, Japan. The Sustainable Phosphorus Alliance (SPA) promotes recently published phosphorus sustainability research by featuring it on the YouTube Channel "Phosphorus Science Now": Using web conferencing software, SPA works with authors to record a 5-10 minute discussion for rebroadcast using 4-5 slides provided by authors and summarising recently published science papers or other publications and reports. Author’s time commitment for production is likely to be less than an hour, and the video will be promoted via YouTube, the SPA website newsletter and social media free of charge. In the latest releases online, Kaushik Venkiteshwaran of Marquette University discusses strategies for recovering non-reactive phosphorus from wastewater and Céline Vaneeckhaute of Université Laval describes a roadmap for choosing unit process configurations that best suit nutrient recovery from digestates. At a webinar on 7th March, United Nations Environment (GPNM) and the World Resources Institute (WRI) presented the ‘Global Nutrient Management Toolbox’ developed and now available online. Nandula Raghuram, International Nitrogen Initiative, underlined that eutrophication impacts nearly 250 000 km2 of waters worldwide, with a loss of ecosystem services of US$ 200 billion/year. Sara Walker, WRI, demonstrated online the Toolbox, which includes a searchable data base of over 100 Best Management Practices, 150 nutrient policy mechanisms, case studies and an excel calculator tool which enables to simulate policy and management scenarios. 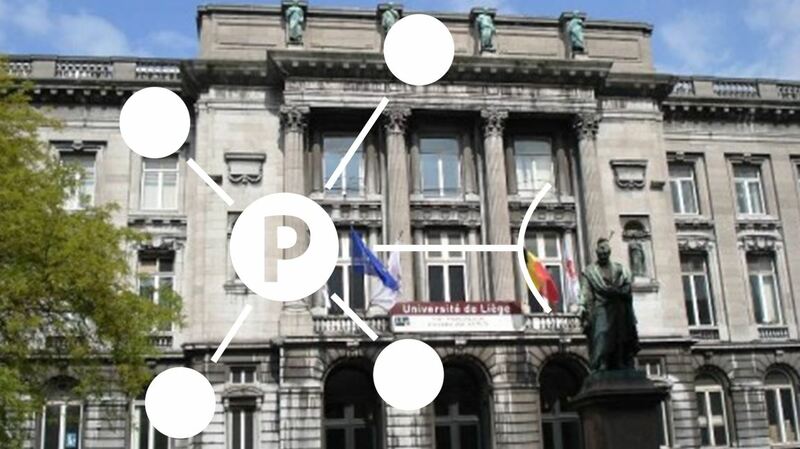 Copyright © 2019 European Sustainable Phosphorus Platform, All rights reserved.